Spring Cleaning is easier said than done but feels so good when it’s finished! One of the easiest ways to get started is to pick a room, turn on the music and simply start! Lets use the kitchen as an example! Put away dishes on the counter, pile loose items (objects, paper, bills) onto one counter and get rid of everything that doesn’t belong in the kitchen (even if you have to move it to the next room, you’ll eventually conquer that too)! and freezer. You know you won’t need the 4-month-old condiments or the freezer-burnt fish sticks your kids won’t eat. Just let it go! Finally, it is time for the deep scrubbing. Wash the counters, sweep and mop the floors, de-grease the stove and scrub the sink. Now take a step back: sparkling, right? If you enjoyed our “quick-tip” cleaning blog, the New Home Resource Pinterest page has several more clever and fun ways to improve your Spring Cleaning routines. 1. When you are looking to buy your next home, avoid moving large amounts of money around or making uncommon, large purchases. Lenders need to see your stable and risk-free financial lifestyle so that you get the best loan possible. 2. Get pre-approved for your home loan before you start seriously looking to buy a home. Knowing how much you can afford and how much a lender will loan to you is crucial so you aren’t looking at houses you cannot afford. 3. There is no such thing as “the perfect time to buy”. The market is a constant, changing cycle and the right time to buy is when you find a house you love and can afford. 4. Don’t allow yourself to settle when buying a house, but bigger isn’t always better. The value of a larger home will continue to rise so don’t let your eyes be the guide. Think about living within your means. 5. Be sure to recognize when you’re getting a great house for a great value and try not to let your emotions overpower your instincts. 7. Make sure you like the neighborhood. How far is it from schools, grocery shopping, work, etc? Drive around the neighborhood before buying into it so you don’t find out a little too late that the neighbors are loud or the area isn’t safe. 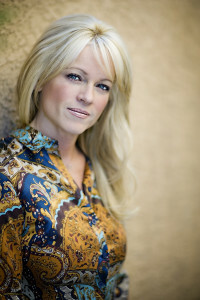 New Home Resource’s, Joanna Piette, winner of the 2013 Best of Silver State Award, Best Real Estate Agent Category has been nominated once again. She needs your vote this year via Facebook Voting App, which closes April 12. On Tuesday, April 22nd, 2014, TMG Entertainment will present the highly anticipated ”The Best of Silver State Awards” hosted by Emmy Award winning news anchors, Nina Radetich, Dayna Roselli, and Robin Leach recognizing excellence and exemplary achievement by individuals & companies in 34 categories. Tickets to the awards show are available for purchase from The Best of Silver State Awards. Effectively Remodel Your Home to Sell! Thinking of selling your home? Have you thought about making any improvements before you sell? Be careful what projects you complete and what projects you leave unfinished! 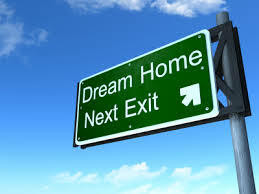 Most buyers are attracted to a certain neighborhood because of the location and pricing of the homes. Making your home seem updated won’t necessarily set it apart from the other fairly new homes. 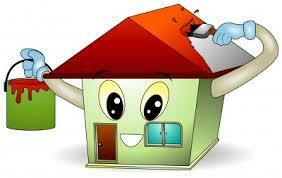 If you are thinking about selling your home here are a few “quick fixes” that could help you. Hardwood: If you have wood under your carpets get rid of the carpet and refinish the floors. Hardwood flooring is in high demand! Carpeting: If you don’t want to strip your carpet, think about replacing it with a tan color. Neutral colors are much more inviting in a resale. Ceramic Tiles: Over the years, grout between tiles can become very dirty, giving your floor a ‘checkerboard’ look. Believe it or not, this is a big turn-off to buyers. Professionally steam cleaning or even acid washing your tile floor can take it back to a new look. Be sure to replace any unsightly broken or cracked tiles. Cabinets: If your cabinets are damaged or worn, you should consider refinishing them. The newest kitchen rehab projects are including the painting of cabinetry, and at very reasonable prices! If your cabinets are very worn, you can even embrace the rustic look by painting in a way that embraces the wear and tear, giving the room new personality. Replace the hardware with knobs and pulls that are more updated or relevant. Sinks: Make sure the sink is not stained and the faucets don’t leak. These are turnoffs that buyers won’t overlook and it is usually an easy fix. Roof: If the roof is torn or leaking, repair it. This takes a day or two but is not extremely expensive and is worth it. Be sure to save any receipts, for the new owner, from professional companies making repairs. Landscaping: The first impression is always the most important so the outside of the house and the landscape should be clean and welcoming. Curb appeal is number 1! Buyers want a home that is clean, convenient and ready to be occupied. 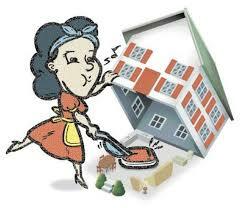 The newer and cleaner your home looks, the more appealing it is to your buyer.